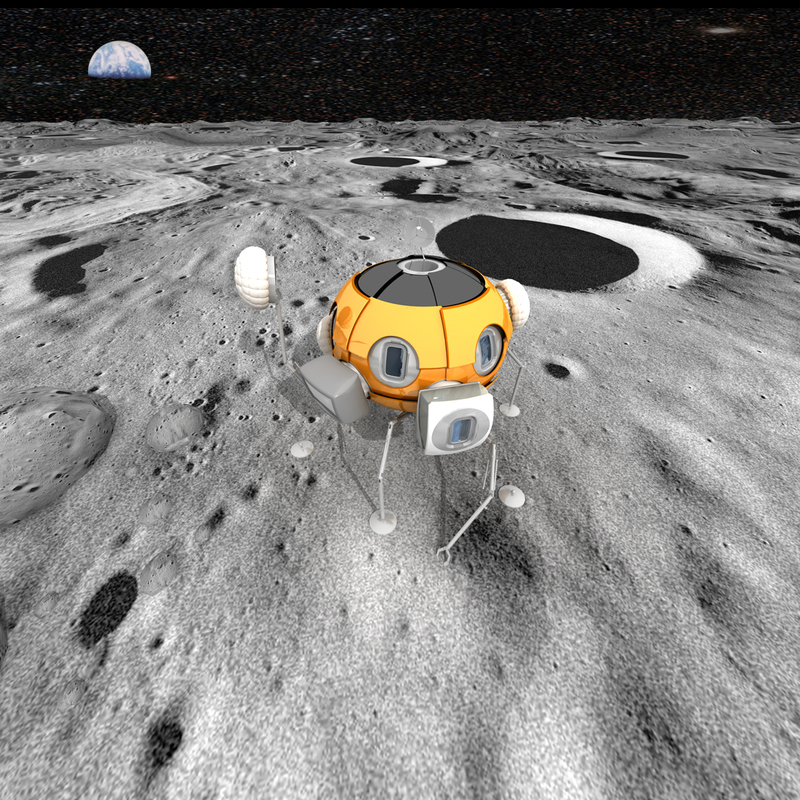 Design of a mobile ‚walking‘ Lunar base. To ensure long-term functioning, some adaptability is required concerning the research site, mission objectives and other mission-related details. 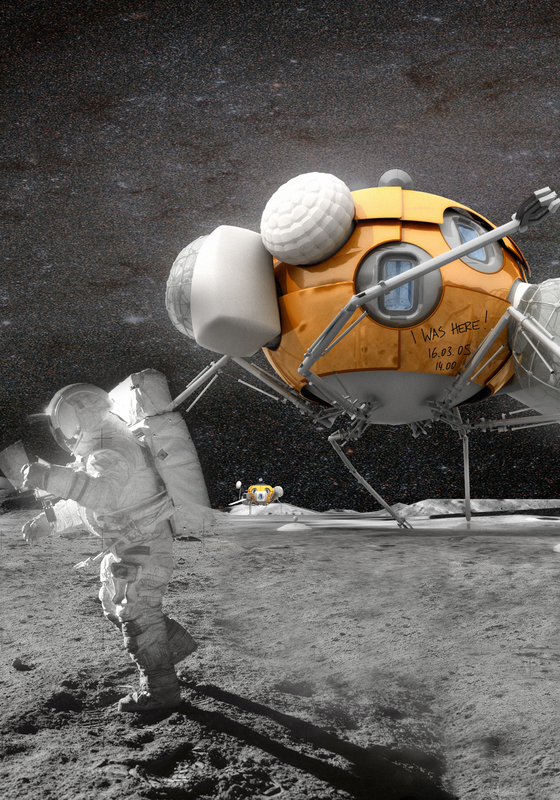 In order to move safely across unknown terrains, Moonwalker possesses six legs that function as landing, standing and locomotion tools – and occasionally as bionic arms. The inflatable rigidized structure offers twelve docking possibilities for plug-ins and expansions thus enabling efficient adaptation to any given future mission. The use of a modular and multi-layered structure permits partial exchange and thus optimal adaptability to specific open design chal­lenges e.g. 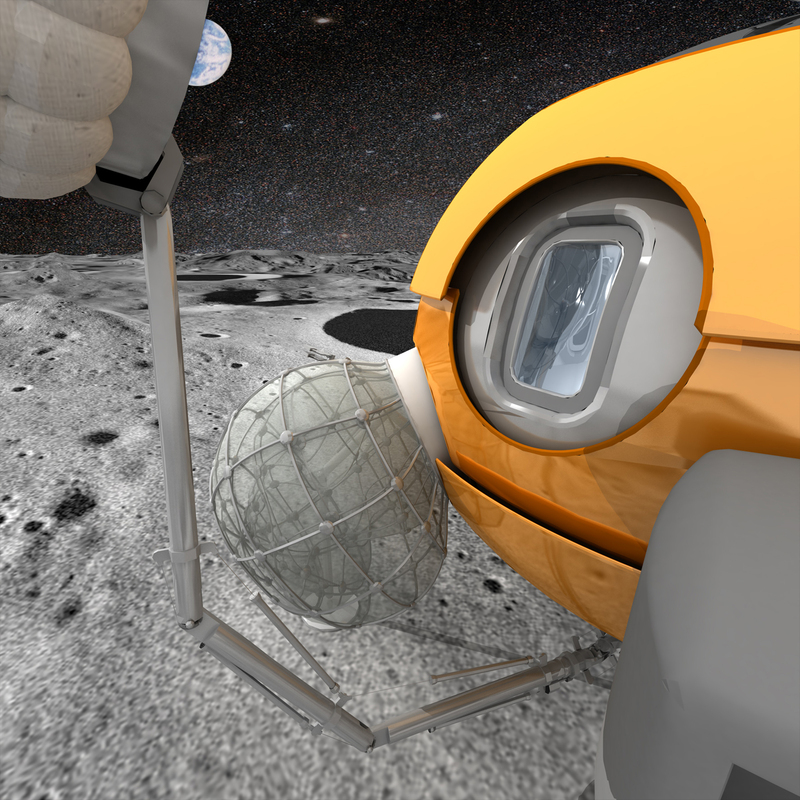 solutions for handling lunar dust, a not yet suffi­ciently investigated radiation environment and protection from meteorites. 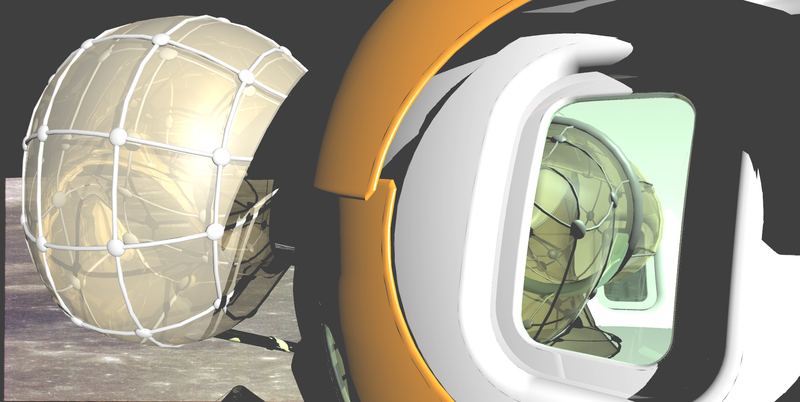 The interior of Moonwalker can be adapted to the changing user-preferences of the crew. In addition, investigations in how to decrease the feeling of restraint are being conducted. Embedded technology enables spatial transformations and adaptations that are visible and cognitively readable by the crew.